I’ve never finished a Tom Clancy game, but I’ve dabbled in at least a few of them. The problem I run into is that I literally run into trouble; I’m more of a ‘run in, guns blazing’ kind of guy and Clancy games punish that kind of play. 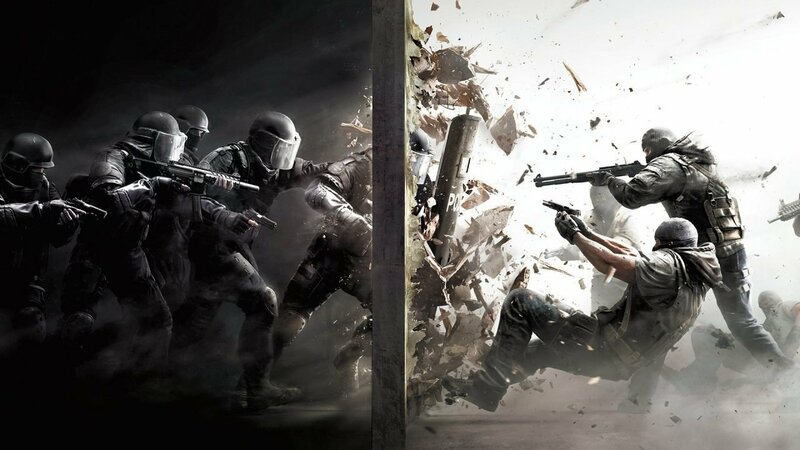 When offered the chance to review Rainbow Six Siege I was hesitant, but I’m glad I took the risk because it is fantastic, though a bit shallow at the moment. After having dabbled in the multiplayer alpha of Siege and getting my backside handed to me, I figured it would be safe to start with singleplayer Situations mode. Situations consist of ten singleplayer scenarios that task you with various goals as some of the playable operators. These challenges get players accustomed to the stealth-based combat and modes they will face in the online multiplayer. Each situation starts with brief introductions to the scenario and player character as well as some tips to complete the task at hand. 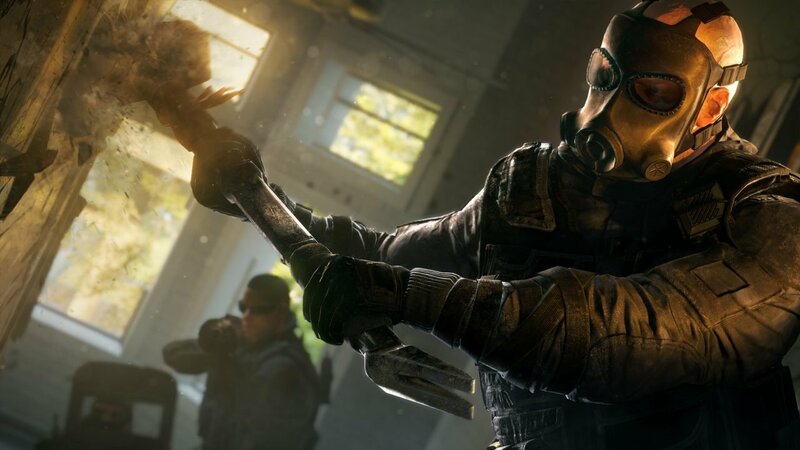 Situations also offer three goals per scenario worth 200 Renown; the in-game currency used to unlock operators, gun upgrades, and some weapon skins. Situations does a nice job of teaching players the basic mechanics without feeling like a dull tutorial mode, something other recently released multiplayer shooters could learn from. After completing all ten Situations, a multiplayer Situation is unlocked that’s accompanied by a brief but beautiful introduction cutscene that resembles the closest thing Siege offers to a story mode. This scenario encourages teamwork to disarm two bombs placed on a college campus covered in a thick, yellow biochemical gas. It is quite difficult to complete without a team that communicates, which can be said for the multiplayer in general. Once completed a cutscene plays that feels more like the ending to a game than a single scenario, and makes me wish there were more of these multiplayer Situations in the game, but alas, currently there is only one. The only real problem with Situations is the mediocre AI. Other than their seemingly perfect vision, as AI almost always spot you before you see them, they don’t prove much of a challenge unless there are a large number of them. You’ll hear the AI remark out loud they are reloading to the dead bodies of their teammates, you’ll see them take bullets without flinching, and you’ll see them bumrush bombs while ignoring the players shooting them. This same AI can be encountered in the Terrorist Hunt mode when played with a team versus the CPU. If the mission is to eliminate terrorists, the AI provides little challenge, but if you’re on defense, you’ll be getting swarmed by them in waves which can prove a bit more challenging. Terrorist Hunt is a nice distraction and option if you’re having trouble performing against other players, but isn’t all that difficult due to the mentioned issues with the AI. Siege is first and foremost an online squad-based multiplayer shooter, and that is where it shines the most. Every match is a five versus five affair where one team is defending either a hostage or a bomb while the other team is trying to rescue them or disarm the bomb. 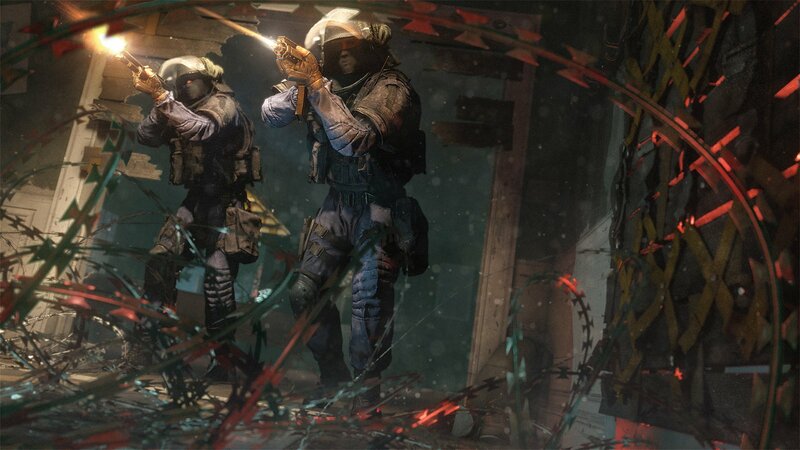 Defenders can put up barricades on windows and doors, set explosive traps, and reinforce walls to keep their objective out of the attackers’ hands. Meanwhile, attackers have their own set of tools to blow holes in walls and ceilings and counter the defending team’s tools. Playing on either side is equally exciting; frantically setting up traps is as nerve-wracking as blowing a hole in a wall not knowing exactly what awaits you on the other side. Because you only have one life per round, the anxiety of your decisions is amplified far more than most other multiplayer shooters today, and it makes for some intense matches. The online multiplayer is offered in two flavours: casual and ranked. The two modes are identical, only ranked mode requires you to level up your account to level 20 to access it. XP is awarded after every match in any game mode, with competitive multiplayer granting the most. Leveling up also unlocks the ability to access two additional daily challenges that grant Renown upon completion. Microtransactions are on offer that grant additional XP per match for set periods of time, as well as currency that can be used to unlock weapon skins. Thankfully, the weapon skins are purely cosmetic, so unless you want stars or flowers on your guns, you’ll probably not be too tempted to spend more money. 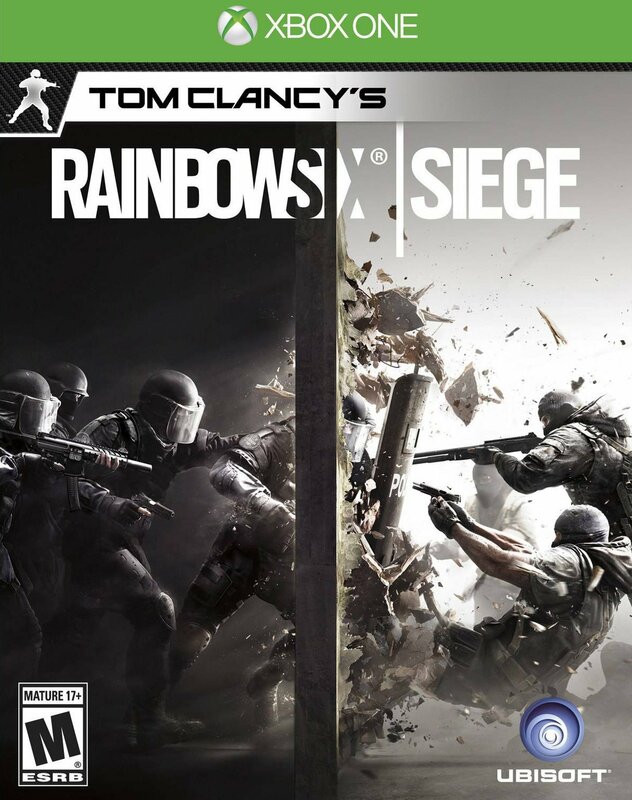 My main problem with Rainbow Six Siege is that while it is a blast to play, it is a bit light on unlockable content to work towards. In a day’s time, I easily unlocked 15 of the 20 available operators without much effort. Once all the operators are unlocked the only goals to work towards are upgrading their weapons with minor improvements, unlocking ranked mode, and then ranking up—which I couldn’t be bothered to care about. Ubisoft has promised to support the game with new maps, operators, and modes releasing for free throughout the next year, so that certainly helps when thinking about longevity. Rainbow Six Siege manages to keep a pretty steady 60 fps framerate on the Xbox One; while that isn’t exactly impressive considering the graphics are a bit bland, it is appreciated. Over the course of two days with the game I’ve had it freeze on me twice, causing me to have to force close and restart it from the dashboard. Otherwise, it has been a pretty smooth experience; the servers have been solid. I enjoyed Rainbow Six Siege a great deal more than I thought I would; the matches are intense up until the last moment and wins feel earned. That said, I still don’t see it replacing Halo 5: Guardians as my go-to multiplayer shooter, but more of something to revisit as Ubisoft rolls out new content or if I tire of my other games. I just wish Siege had more reasons to keep me playing other than a rank. 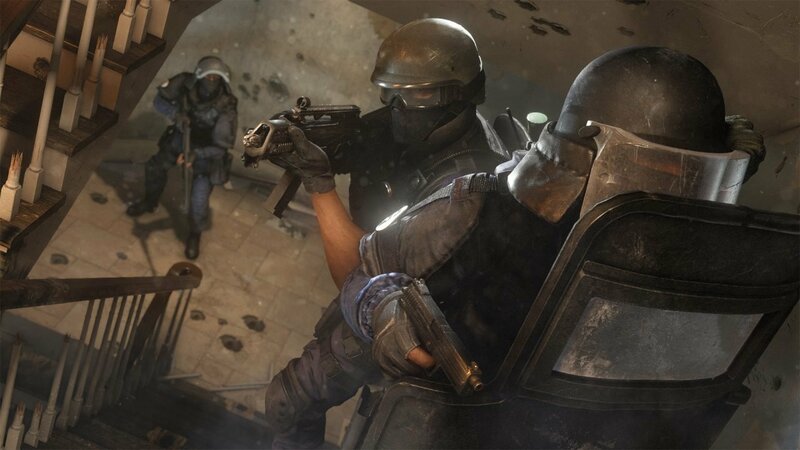 When offered the chance to review Rainbow Six Siege I was hesitant, but I'm glad I took the risk because it is fantastic, though a bit shallow at the moment.